Join Libby again in an all-new adventure. 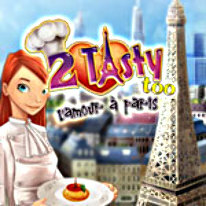 2 Tasty Too features fun mini games and a spoonful of romance between Cole and Libby in the City of Light and Romance. Visit France together with Libby and witness the sequel to her love story in 2 Tasty Too.